The skin is the largest organ of the body and anything it is exposed to is absorbed INTO the body. ESPECIALLY anything repeated on a daily basis. SPECIFICALLY, what products we use to wash and dry our clothes. The Laundry Isle reeks of fragrances, cleaning agents, stabilizers, bleach, 1,4-dioxane, brighteners, phosphates, & EDTA. Furthermore, the chemicals are not biodegradable and prove toxic effects on our environment. Safer laundry detergents are available, but we can do better. We have found a natural laundry detergent that really works! Better Life Laundry Detergent is incredibly natural and we are lucky to have such a product out there. It is concentrated so you only need a small cap full for a large load, but feel it needs a little help getting those dirty, sweaty clothes clean and smelling good. 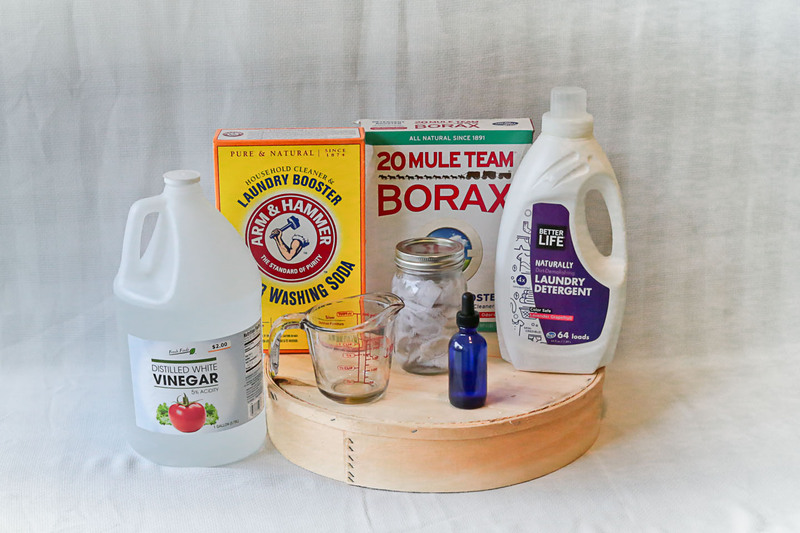 Adding 1/4 cup Washing Soda and 1/4 cup Borax to the wash cycle brightens your clothes awhile lifting stains and odors. Adding 1/4 cup to the rinse cycle (bleach compartment) helps brighten, lift odors, and soften clothes. But there is controversy whether or not this may harm your washer. For the dryer, add 8-10 drops of essential oil to a mason jar, fill 3/4 to the top with water, and fill with pieces of an old cotton rag or cotton towel. Throw in one or two of these cotton cloths in the dryer cycle. Enjoy fresh smelling, clean clothes everyday, guilt free! Serene Clean uses all natural & organic cleaning products to clean your home.